Currently, medical patient data is scattered. Efforts to collect and settle insurance claims are high. With our blockchain solution, this sensitive data that is used for the claim process can be centrally stored on a private sidechain to which only doctor and insurance have access. After the claim, the patient can delete the data on the private sidechain, ensuring efficiency and privacy at all times. Data privacy is crucial across the pharmaceutical industry. Both the research, development, and clinical testing data required for approval of new drugs by public institutions like the FDA (Food and Drug Administration), and private patient data concerning illnesses, medication, and family medical history require absolute confidentiality. However, relevant parties still need access to that sensitive information. 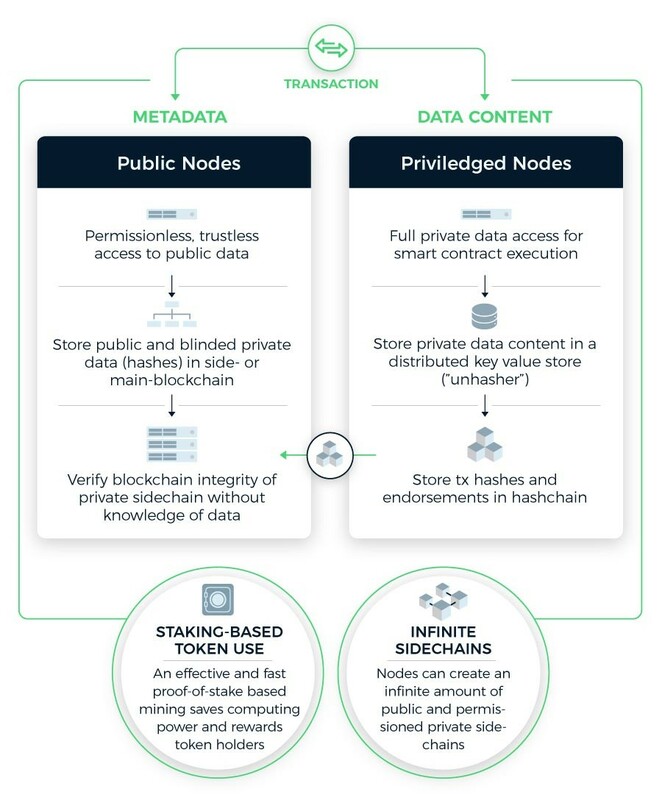 With the new Lition mainnet, confidential data will be stored on a private sidechain, providing access to involved parties, and allowing for deletion of private patient data when no longer required. Odometer manipulation is a major issue in 2nd hand car sales in most countries. With the Lition blockchain, anonymous movement data can be stored on a private sidechain, ensuring privacy of the vehicle holder, and fraud protection upon purchase. Furthermore, movement data may also be on a private sidechain, especially used in a smart city context. Global data breaches will amount to USD 2.1 trillion by 2019. As data exchange between enterprises is necessary, privacy and security is more than crucial. The Lition blockchain offers privacy, security, and trusted data exchange. Decentralized data storage, limited availability of private data, and highly restricted access prevents continuous data theft and sabotage. Growing usage and distribution of digital media requires transparent and secure systems concerning copyright protection and compensation for originators. Originators’ details, e.g. specific info on content, sources, age restriction, etc. can be displayed in a private sidechain, along with personal user data such as buyers’ bank data to compensate the originator directly via the blockchain. Corporate bonds require myriad approvals (e.g. credit rating scores, balance sheets) and middlemen (for settlement, custody, etc.). Lition blockchain enables decentralized storage of all prerequisites for a loan, plus automated smart contract issuance. Furthermore, after the bond has been issued, partial or all private data can be deleted. The Lition blockchain allows for public storage of inventory data, such as stock items, certificates of origin, quantities, prices, complaints, etc. Linking this information to a private sidechain with purchaser information can automate payment procedures, increase efficiency on restocking, optimize transportation, improve material quality, and improve response to supply and demand. Common search engines for hotels, flights, and rental cars operate as middlemen between the customer and partners of the tourist industry, causing unnecessary costs on both sides. With the Lition mainnet solution, all offers can be stored on a public blockchain. The customers’ private information during the booking process (date of travel, prices, bank data, etc.) is held on a private sidechain, where payment procedures and travel details are kept anonymous and secure. If you wish to receive news and offers from Lition and our partners, please enter your email above. You may unsubscribe at anytime. Our technical whitepaper will be released in the coming weeks. You can find our main Whitepaper here. Join the Whitelist to be the first in line for our Token Generation Event. Have you joined our Telegram group yet?